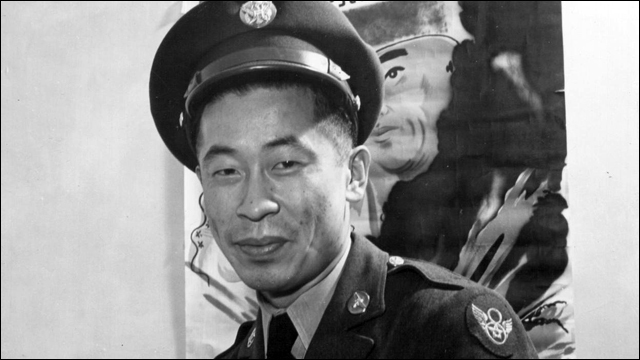 Nisei tail gunner overcame bigotry to serve in 58 combat missions for the U.S. Army Air Forces. Ben Kuroki, a decorated Japanese American tail gunner in the Army Air Forces who flew on 58 bombing missions over three continents during World War II, died last week in Camarillo, California. He was 98. Ben Kuroki Dies at 98; Overcame Bias Against Japanese-Americans to Fight for U.S.
Kuroki sought to join the U.S. Army after the attack on Pearl Harbor, but he was refused by a recruiter who questioned his loyalty as a Nisei, the child of Japanese immigrants. Determined to enlist, he and his brother drove 150 miles to another recruiter, who allowed them to sign up. At the time, the Army did not want Japanese American soldiers on bomber crews, but Kuroki nonetheless became an airman and received three Distinguished Service Crosses, taking part in raids over Europe and North Africa and then, after receiving special permission from the War Department, in missions over Japan. At the time, the Army banned soldiers of Japanese descent from bomber crews, but Kuroki secured a place in the 93rd Bomb Group in 1942. The experience of being under enemy fire helped banish the sense of being an outsider. "For the first time, I belonged," he said in a 2005 Times interview. "Thereafter, we fought as a team and as family." He flew dozens of missions in Europe and North Africa, taking part in raids over Nazi oil fields in Ploesti, Romania, that killed 310 fliers in his group. Once, he was captured after his plane ran out of fuel over Morocco, but he managed to escape with crewmates to England. Fliers who survived 25 missions, as Kuroki had by the end of 1943, were permitted to go home under Army policy, but he insisted on further missions "to prove my loyalty," he explained. On a mission over Munster, Germany, shrapnel tore through his gunner's turret and pierced his oxygen mask, and he was saved when a crewmate gave him a spare mask. Crew members nicknamed him "Most Honorable Son," and the War Department gave him a Distinguished Flying Cross. In 2005, at the age of 88, Kuroki received a Distinguished Service Medal, one of the nation's highest military honors. At the award ceremony, he said, "I had to fight like hell for the right to fight for my own country. And I now feel vindication." In 2007, Kuroki was the subject of a PBS documentary, Most Honorable Son. Kuroki is survived by his wife, Shige; daughters Julie Kiroki, Kerry Williams and Kristyn Kuroki; sister Rosemary Ura; four grandchildren, and one great-grandchild. Rest in peace, Ben Kuroki.